Northern Ireland hero Gareth McAuley is OUT of next month's crunch World Cup qualifiers against San Marino and Czech Republic. The inspirational defender won't feature in West Brom's Premier League opener with Bournemouth and boss Tony Pulis confirmed he will also miss September's international matches. “Gareth won’t be fit for a couple of weeks, he’s still struggling with his thigh so that’s a problem for us," Pulis told the Baggies' website. 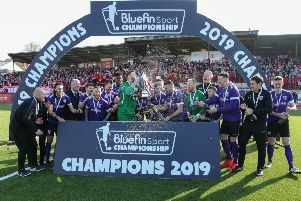 An injury to the 37-year-old Larne man meant he was substituted during the first half of Northern Ireland's 1-0 win in Azerbaijan in June.